Would your employees know what to do in an emergency? Reduce your risk with an updated emergency action plan. Did you know that you could be liable if you do not meet the required safety standards for your organization? Have a written emergency action preparedness program that describes what actions employers must take to ensure employee safety from fire and other emergency. 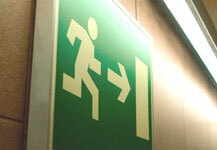 Designate and train a sufficient number of employees to assist in a safe and orderly evacuation of other employees. 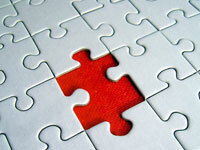 Most companies think they have a comprehensive emergency plan. But the truth is, most do not. Many plans are outdated, lack specific detail and have never been fully implemented. The only way to really assure the safety of your employees and reduce your company's liability is to update your plan regularly and put it into action by training your employees and testing its effectiveness. -- we help you implement the plan. SafetyMax is the leading provider of emergency preparedness consulting, training and supplies. We offer businesses customized, turn-key emergency preparedness solutions that reduce liability, are easy to implement and assure the safety of employees in the event of an emergency. Protect Your Employees. Protect Your Company. Be Prepared.